HDMP-300M är en ny premium HDMI kabel från CYP/// som lämpar sig bra när det gäller att skicka 4K UHD och HDR signaler. 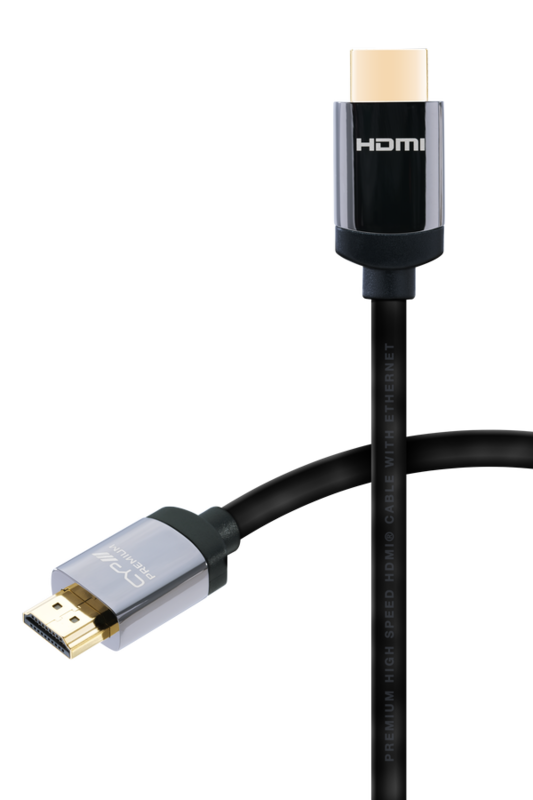 ?The CYP HDMP-300M is a certified Premium HDMI Cable, fully supporting 4k UHD and HDR (High Dynamic Range) AV content. Offering the ultimate in audio visual signal transmission performance, this new fully-certified Premium HDMI 3 metre long cable features insulated metal plugs and shielded cable, ideal for heard-wearing installations where reliability is essential. 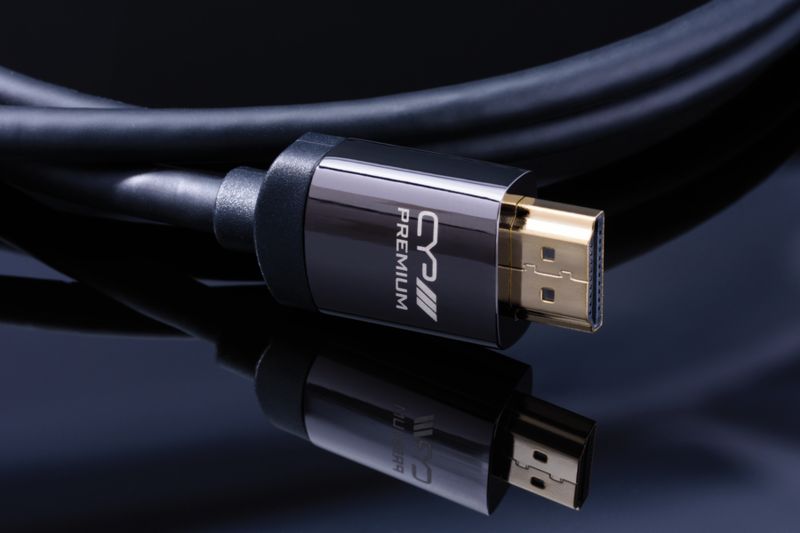 CYP's Premium HDMI cables are compatible with the full range of HDMI specifications, including 4k UHD (2160p), FULL HD (1080p) and deep colour / High Dynamic Range resolutions, 3D, Ethernet (HEC) and ARC (Audio Return Channel). 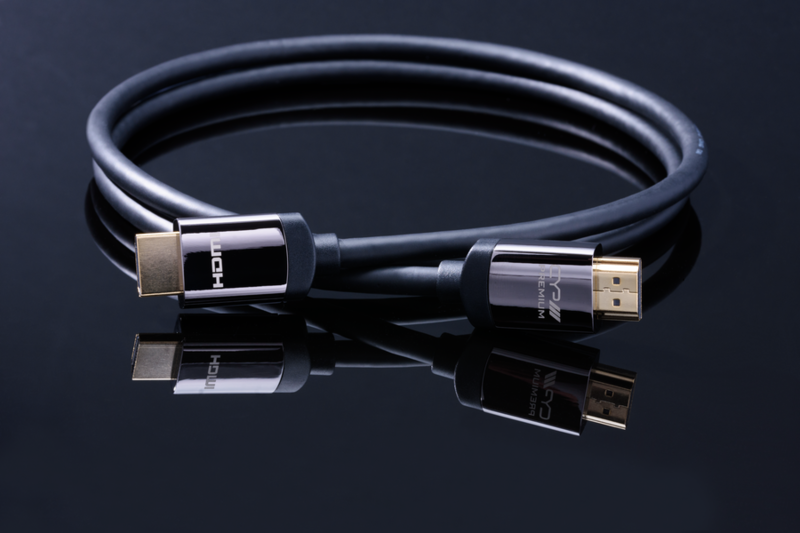 HDMI Premium certified cableThis new development ensures that the CYP range of professional HDMI cables has been tested and certified to meet the requirements of Premium HDMI cable specification. The anti-counterfeiting label shown on the packaging of a CYP Premium HDMI Cable has encrypted data in the QR code which will allow you to quickly verify the authenticity of the cable by using your smart phone with the free-to-download HDMI Premium Cable App. In purchasing this Premium HDMI cable, you can confidently and reliably enjoy viewing 4k UHD content without interference or signal/connectivity issues.